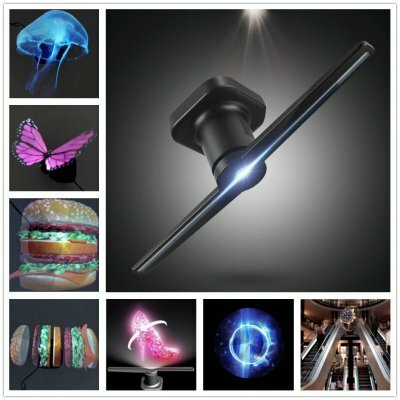 Successfully Added US Plug LED Holographic Projector Hologram Player 3D Holographic Display Fan Unique Hologram Projector Advisement Player to your Shopping Cart. Use ultra-high density LED rotation imaging to show 3D visual effects of the display device. Can show clear product imaging, flexible replacement of advertising content. The playback screen is larger and clearer. supports multiple online. Can be installed by rotating or hanging on the wall to install, occupy little space. Make your advertisement, and new product marketing eye-catching.